Tribal Fusion is a true merger of all possible dance and musical styles, while still having a strong oriental expression. This dance style has a wide scope and a loose structure, giving my students the freedom to choose from a variety of music, dance elements and accessories. This dance is being used in cabaret style. 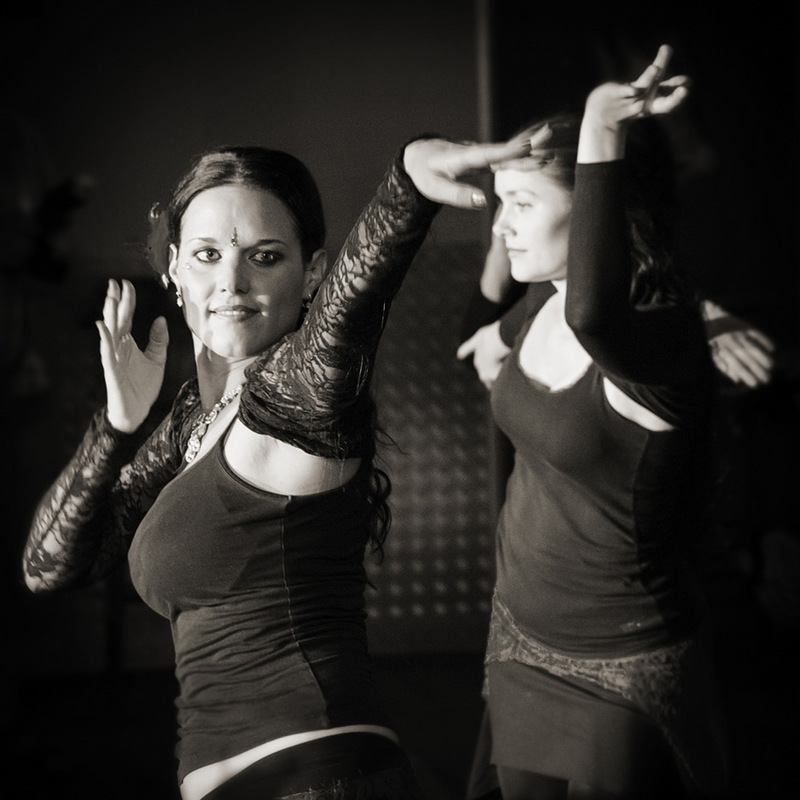 Tribal fusion merges ATS with classical belly dance and other styles dance styles. Elements of Indian, Persian, Hawaiian, Chinese, Gypsy dance, tango and hip-hop – no matter what the dancer feels – it can be fused.